Load the Olympic bar to an appropriate weight on one side. Make sure that the second side remains stationary. Place it in a corner or fix it on top. Lean forward, bending at your waist until your upper body is almost parallel to the floor. Bend your knees slightly. Grasp the bar with both hands just below the plates. This will be your starting position. 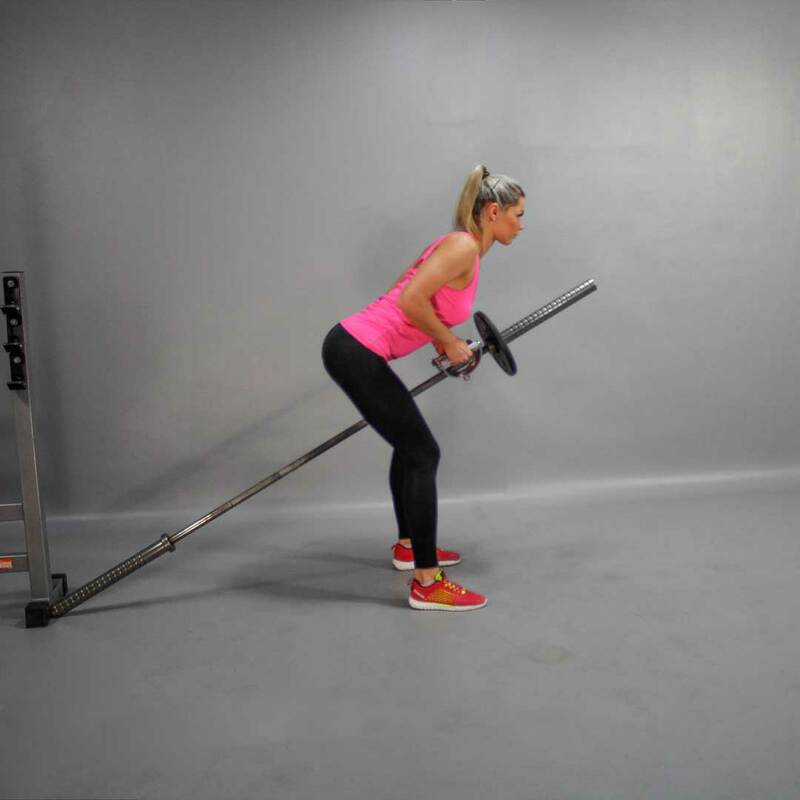 Exhaling, pull the barbell to yourself, keeping your elbows close to the torso (to get the maximum effect and load for your back) until the plates touch your chest. At the end of the movement, flex your back muscles and hold in this position for a few seconds. Avoid body movements, it should remain stationary. Only the arms should move. Inhaling, slowly lower the barbell back to the starting position. Do not allow the barbell plates touch the floor. For proper movement range, use small plates.